The autumn has struck with a bang over the last couple of days with temps. plummeting to 5*C here last night in Connemara. Lovely day today with the trees dropping leaves and the bog turning to its autumnal siennas and ochres. We don’t have many trees in Connemara so the bog is our indicator that autumn is here. I have had many inquiries from people as to whether I had any plans to exhibit my art around Galway city. My framers Mark and Sandra Loftus kindly let me have some wall space in their framing shop to display a selection of pieces and I must say I was delighted with the way that Sandra presented them. Mark is an old school friend of mine and a master framer. He only uses conservation quality materials and is very thorough in his work . Many people commented on the excellent quality of the framing on my artwork at shows throughout the year and this is all thanks to Mark. 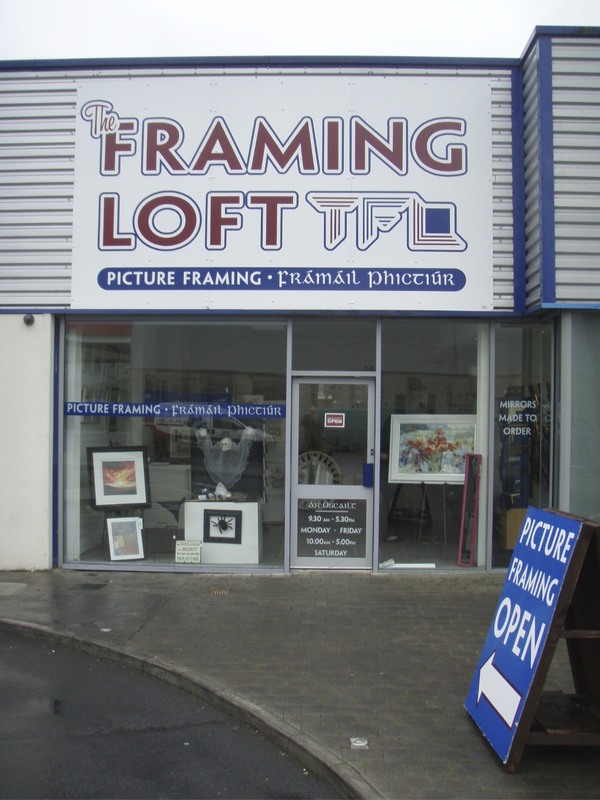 Their shop is located at Unit 1A, Monaghans, Tuam Road, Galway. 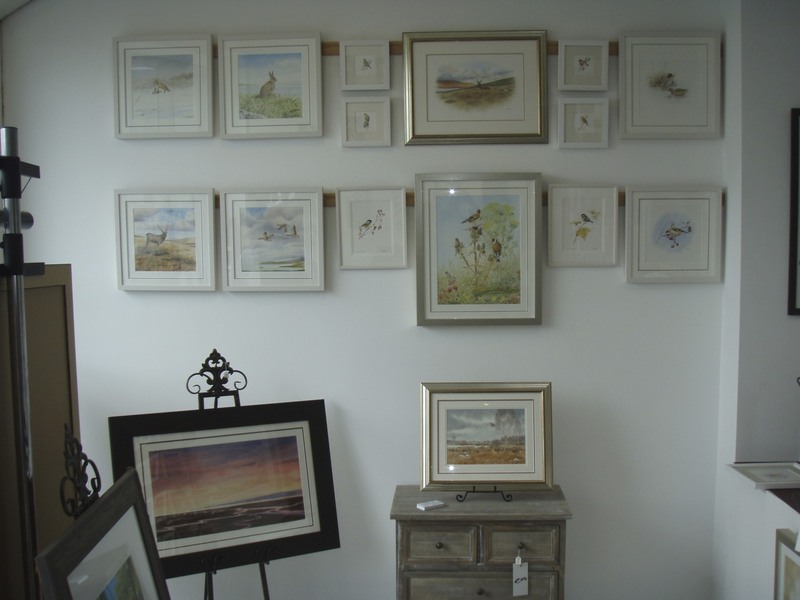 I have included a few pics below showing their shop and the paintings on display. If you are around this area drop in and say hello!